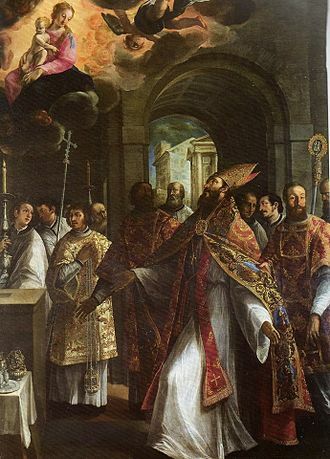 Today is the feast of Saint Anselm of Lucca (Latin: Anselmus; Italian: Anselmo; 1036 – March 18, 1086), born Anselm of Baggio (Anselmo da Baggio), which is a major holiday in Mantua because he is the patron saint of the town. Normally I would consider Anselm too minor a figure to be worth a post, but I live in Mantua, so he counts as a bigger deal than usual. Anselm was a medieval bishop of Lucca in Italy and a prominent figure in the Investiture Controversy amid the fighting in central Italy between Matilda, countess of Tuscany, and Emperor Henry IV. His uncle Anselm preceded him as bishop of Lucca before being elected to the papacy as Pope Alexander II; owing to this, he is sometimes distinguished as Anselm the Younger or Anselm II. Anselm’s birthplace is disputed and his date of birth is unknown. Sources are divided as to whether he was born in Milan or Mantua. General sentiment in Italy favors Mantua as his birthplace because of his close association with the town. 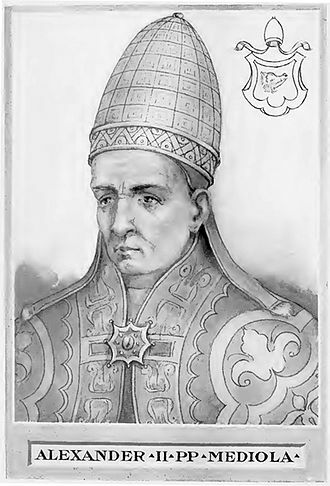 His uncle, Anselm of Lucca the Elder, became Pope Alexander II in 1061 and designated Anselm to succeed him in his former position as Bishop of Lucca (1071), sending him to take investiture from the Holy Roman Emperor Henry IV. Anselm traveled to meet Henry, but was loath to receive the insignia of spiritual power from a temporal ruler and returned without investiture. 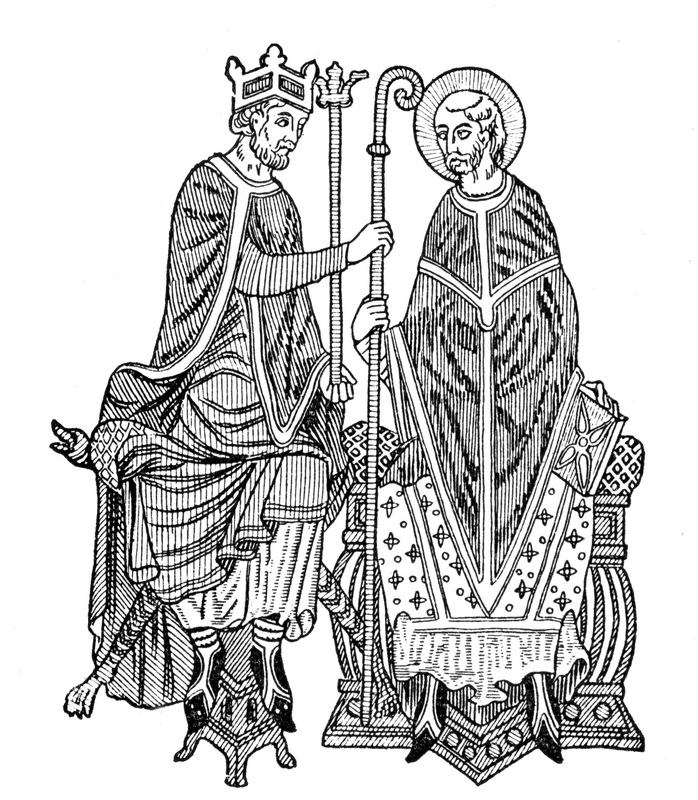 In 1073, Alexander’s successor Pope Gregory VII, again appointed Anselm as bishop of Lucca, but advised him not to accept investiture from Henry. For some reason, Anselm did so this time around despite the pope’s injunction, but soon felt such remorse that he resigned his bishopric, and entered the Benedictine Order at Padilirone, a Cluniac monastery near Mantua. This was the beginning of the Investiture Controversy which pitted church against state concerning authority in church matters, and which was ultimately a key factor in the Protestant Reformation. In the 11th century, temporal rulers chafed at the authority of the papacy to appoint high ranking church officials in their lands, whereas popes wanted the prerogative to appoint bishops and cardinals without local interference. As always, it comes down to money, power, and control. In the 16th century the issue came to such a head that German, Swiss, and English monarchs simply broke with Rome and took the power from the papacy. In the 11th and 12th centuries things simmered down after some judicious compromising on both sides. 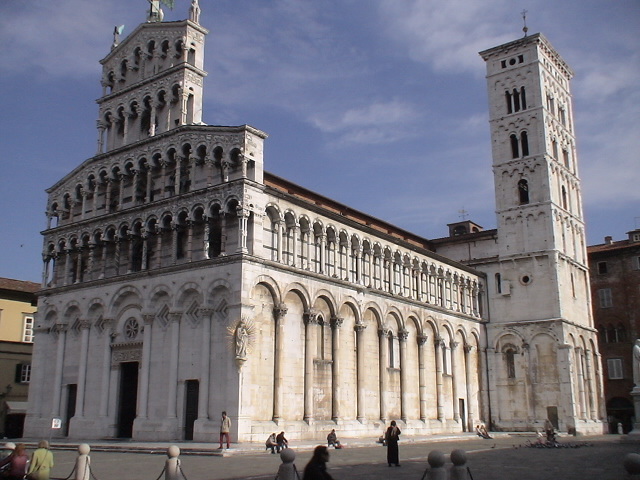 Gregory VII ordered Anselm to return to Lucca, and he reluctantly obeyed, but continued to lead the life of a monk. In the years 1077–79, he accepted the transfer of several castles from Countess Matilda, in preparation for Henry’s expected campaign against Italy, which was carried out in 1081–84. Meanwhile, he attempted to impose stricter monastic discipline upon the canons of his cathedral. Most of the canons refused to submit to the new regulations and Anselm was expelled from Lucca in 1081. 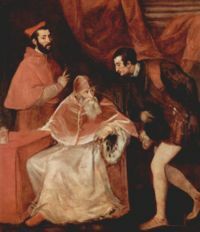 Some time later pope Victor III made Anselm papal legate to Lombardy, with authorization to rule over all the dioceses which had been left without bishops due to the conflict between pope and emperor. Anselm was both a Biblical scholar and a canon lawyer. He wrote some significant works attacking lay investiture and defending pope Gregory against antipope Guibert. He spent his last years assembling a collection of ecclesiastical law canons in 13 books, which formed the earliest of the collections of canons (Collectio canonum) supporting the Gregorian reforms, which afterwards were incorporated into the Decretum of the jurist Gratian. Anselm died in Mantua on March 18, 1086, and is the town’s patron saint. Mantua is famous as a culinary center. Some of the local specialties include bigoli con le sardelle, pasta with sardines, stracotto d’asino, donkey stew, salame con l’aglio, garlic sausage, luccio in salsa, pike in sauce, tortelli di zucca, pumpkin tortelli, and torta sbrisolona, a crumbly cake. I’m going to reprise what I used to write when I was living in China. If you want authentic Mantuan food, come to Mantua. I’ll give you an idea about preparing bigoli con le sardelle, but without local pasta and fish, it won’t be the same. 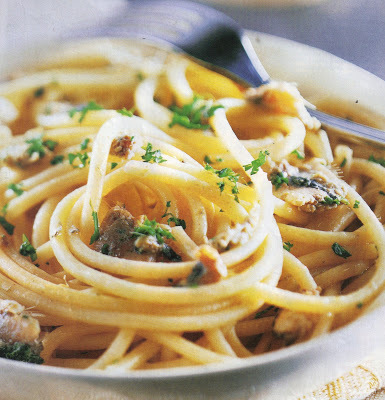 Bigoli is much like spaghetti only thicker and coarser which holds the sauce well; the sardines are caught in Italian waters. “Sardine” is not a well defined category of fish. Any small member of the herring family can qualify. Do the best you can, but be sure to use fresh fish, not canned. This is a good dish for Lent. Heat the olive oil over medium heat in a large skillet and gently brown the onions. Add the sardine fillets and cook until soft. Add the garlic. With the back of a wooden spoon, mash the fish into the olive oil until the sauce is creamy. Meanwhile cook the pasta in plenty of boiling, salted water. Drain the pasta and add it to the sauce in the skillet. Mix thoroughly and serve on a heated platter (garnished with parsley if you wish).